Beef Jerky is one of the few snacks my husband loves. He loves to munch on it during a football game, while playing poker and while hanging out watching movies. If it's around, it won't be for long. He also wants to one day learn how to smoke his own jerky. This has been a plan of his for many, many years now. And I think after trying the jerky from Krave, it just made him want to make his own even sooner. So while I was excited about trying out the gourmet jerky from Krave Jerky, it's nothing compared to how excited my husband was when I told him that we were getting a few samples to try out. So this review comes from both of us, but mostly him. 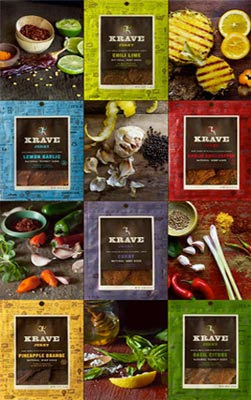 When we received the box of jerky we were thrilled and surprised to see how Krave has so many different unique and different flavors. We were sent five bags which included flavors like, Sweet Chipotle, Garlic Chili Pepper, Basil Citrus, Lemon Garlic and Chili Lime. The other flavors they have are Smoked Grilled Teriyaki and Curry. My husband's all time favorite of the jerky was the Chili Lime, which was a shock because I was so sure it would have been the Sweet Chipotle, but that was my favorite. We loved that the jerky was very moist, I don't think I've ever tasted jerky that was this moist and delicious. We devoured the jerky within a couple days. I loved how each bag had big pieces of jerky, enough to share with a group, which was awesome even if it was just the hubby and I eating it (LOL). 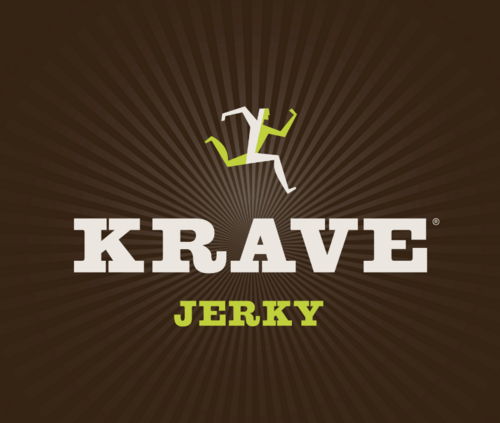 It wasn't tough at all and I absolutely love that Krave doesn't just use beef for their jerky They have pork, turkey and beef which makes a huge difference and is one thing that stood out to me. That and the unique different flavors put them on my must have again list that I've been compiling. This is definitely jerky that I will have again and I know my husband will be talking about for a while. Disclosure: All opinions are my own. I received sample bags of jerky at no cost for the purpose of this review. No other compensation was received. Big thanks to Krave Jerky for the giveaway prize!